Electric utilities offer a variety rate structures to their customers. I focus my writing here on municipal utilities using tiered rates and explore some of the opportunities and complications. Basic: Customers are charged the same rate for each kilowatt-hour (kWh) they use. Tiered Rates: The cost per kWh changes as the customer uses more electricity. The structure is the same as for federal income taxes. The customer pays one rate for the first block of energy (say up to 500 kWh) and a different rate for the next block of energy (say between 501 and 1,000 kWh). The number of tiers can vary. Electric utilities have many options when it comes to billing residential energy usage. 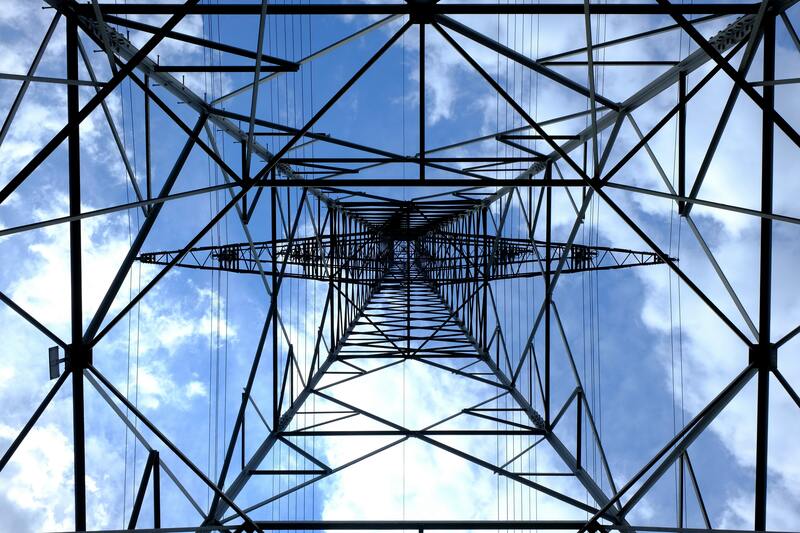 Tiered rates offer an opportunity for electric utilities to encourage decreased energy usage. 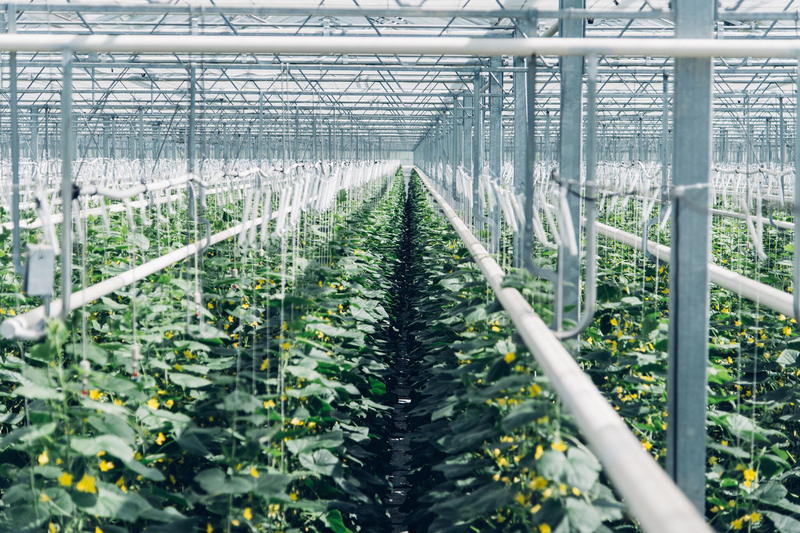 This may help decrease our reliance on nonrenewable resources and reduce costs. Following my research on the largest 100 municipal electrical utilities, I have come across some hopeful examples of tiered rate structures which promote energy conservation. Others, however, may have the opposite effect. Tiered rates can be used as a useful tool to conserve energy usage but only when the rate goes up in price as energy use increases. Not all electric services offer tiered rates. Even when they do, you typically only see 2 or 3 tiers that go up minimally in price. Austin Energy provides an excellent example of how a municipal electric utility can promote reduced energy usage through a multilayered tiered rate structure. With 5 tiers that go up by roughly 2 cents for every 500 kWh increase in energy, customers have an incentive to cut down on their energy consumption. Bristol Tennessee Essential Services has a tiered structure with 6 tiers, the most tiers I found throughout my research. The downfalls to tiered rate structures occur when utilities instead discount higher energy consumption. 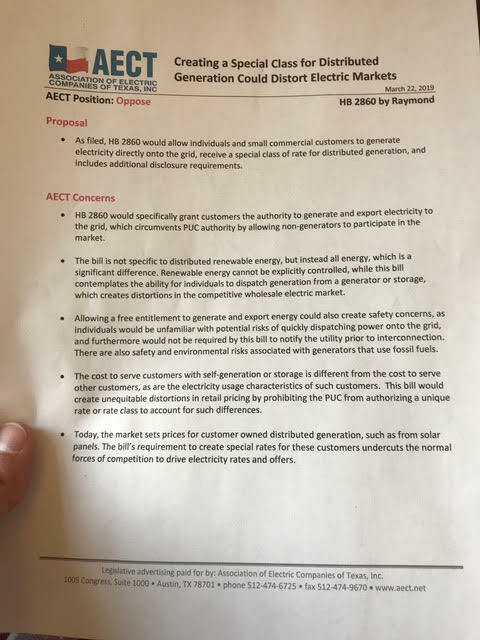 This structure is counterproductive to achieving a less energy dependent future in our society, and reflect and the challenge of getting electric utilities to encourage conservation when their business models are dependent upon selling more electricity. Many utilities implement this backwards billing structure to customers only in the winter. Georgia Power visualizes this tendency on its website. The majority of utilities (11 out of 18) that discount increased energy consumption in the winter are located in the South. Because winters are mild in the South and many customers use natural gas for heating, customers in this region don’t use as much energy in the winter. This leads me to believe that these discounts are intended to encourage increased energy usage in the winter, as a way to boost electric utility revenue. Some of the more northern utilities that have declining tiered rates – including Rochester Public Utilities – may have less sinister motives, namely to help customers avoid high bills during cold snaps, but this would bear additional research. In this time where it is imperative to promote decreases in energy usage, municipal utility utilities cannot be hesitant to adopt increasing tiered structures regardless of the time of year. The City of North Little Rock Electric Company has done exactly this. Their tiered rate structure once discounted prices as consumption increased. These outdated rate structures, like many others like this, were in place since 2006. They recognize that this discounted structure is inconsistent with encouraging conservation and promise to eliminate these declining price blocks over a three year period. Many other utilities can, and should, do the same. One more common theme I have encountered are extremely outdated rate structures. Jonesboro City Water & Light utility in Arkansas, has maintained the same rates since 1984. Times have changed, particularly in values of consumption, in the past 35 years. I urge municipal utilities to update their rate structures in order to stay up to stay consistent with conservation values. 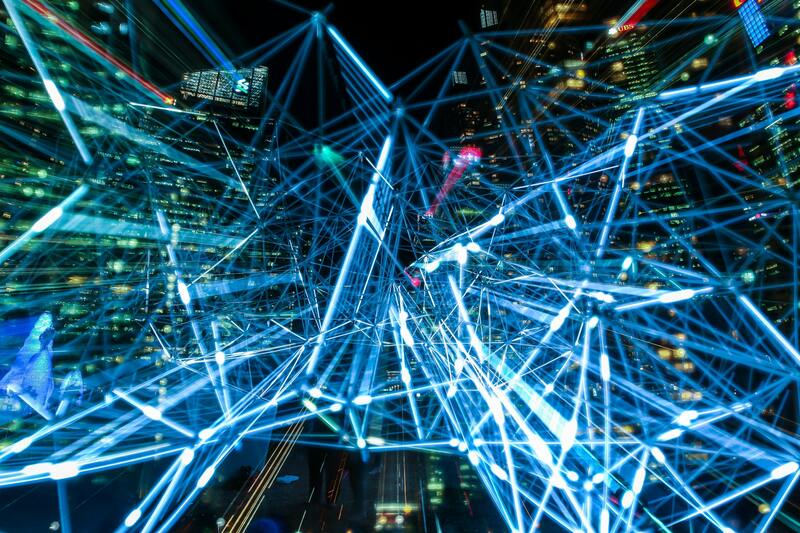 Tiered rate structures have the capacity to encourage customers to become more conscious of their energy usage and to decrease their total usage. I encourage utilities to follow in the same path as Little Rock by hiring a company such as Utility Financial Solutions to review and improve current and outdated utility rate structures. In this way, electric utilities may begin to implement rate structures that encourage energy consumption while also not imposing too dramatic of an increase in bills for customers. 25 years ago, Texas electricity prices were skyrocketing because overbudget and unneeded nuclear plants were being brought online. It was generally believed that competition among electric generators would lower costs and pollution. That thesis has come true. Natural gas producers claimed building a lot of new natural gas plants would reduce electricity costs. 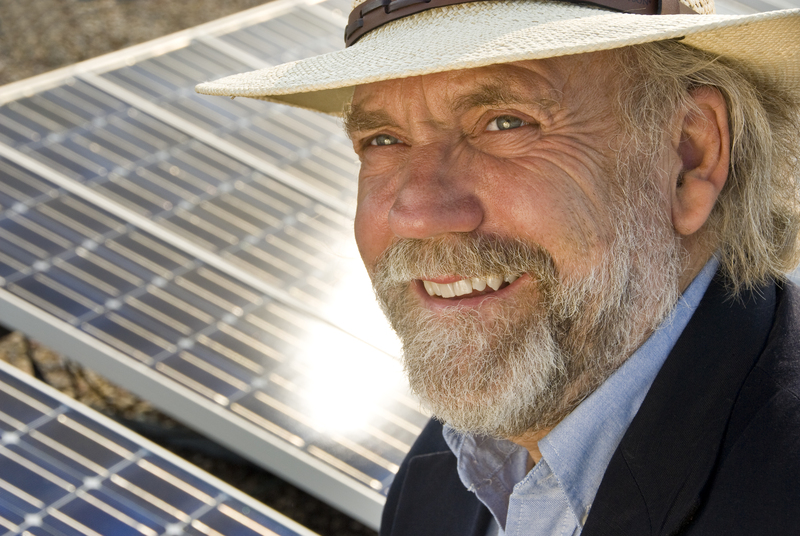 Advocates for renewable energy and energy efficiency believed that an open market would create new market opportunities in which they have thrived. Therefore, the Texas electric market was deregulated and split into three parts. The generators and retailers would compete based on costs but the distribution and transmission system, which provides the poles and wires on which our energy is transmitted, would remain regulated. In order to avoid conflicts of interest the rules governing deregulation clearly divided the market into those that generated electricity and those who distributed it. 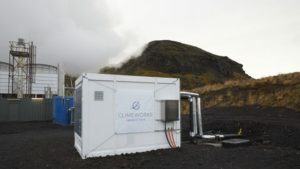 The rules clearly said that generators produced the energy- and that transmission and distribution companies could not. This made sense about 25 years ago, but time has shown us that the system is out of balance, and the only time the generators really make money is when it is really hot or cold. On a daily basis the amount of energy we use swings wildly from late at night when the winds blow hard to hot afternoons when every generator is needed. As result we have a lot of wasted power produced to balance these swings. This systemic imbalance results in a lot of unneeded costs to consumers including pollution and overbuilding of poles and lines to deliver energy at times of peak demand. Storing excess energy in big electric batteries can provide a third leg to the stool and balances out the swings while reducing costs and pollution. This isn’t new technology. We’ve been storing energy in car batteries for more than 100 years. But battery technology has changed dramatically over the last decade. The proof is in your pocket. Think about the phone you carried ten years ago. Today’s phone batteries are a fraction of the size and weight and store far more energy for longer than those of 10 years ago. Today’s storage batteries can store renewable energy at a fraction of the cost of upgrading or building transmission or distribution infrastructure. 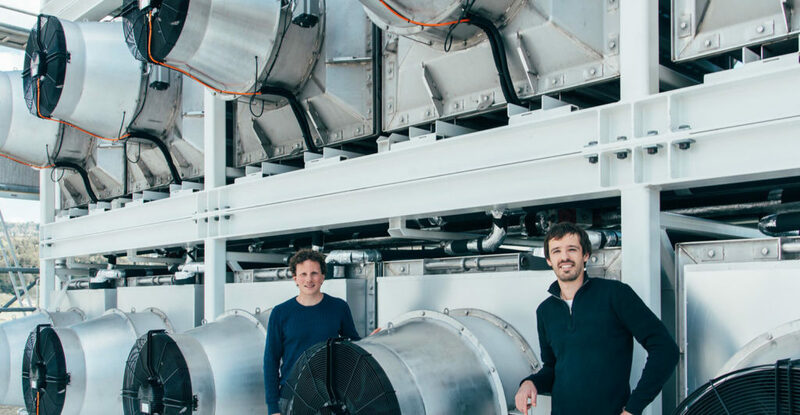 It can also store that excess energy produced by renewables until we need it on hot afternoons, cutting costs for consumers and reducing pollution. Add to that the expected explosion in energy storage provide when millions of electric cars plug into the grid and allow tier batteries to be used to meet short term peaks on a hot summer day. The rules adopted 25 years ago didn’t envision the dramatic technological changes that have occurred. What we need to do is modify the rules that deregulated the electric industry by allowing batteries to provide energy to reduce costs while making money. That means clearing up the question of who can own storage and how to pay for it. The Public Utility Commission (PUC) is beginning to hold hearings to resolve this question. There are many solutions being discussed. The basic message is clear. 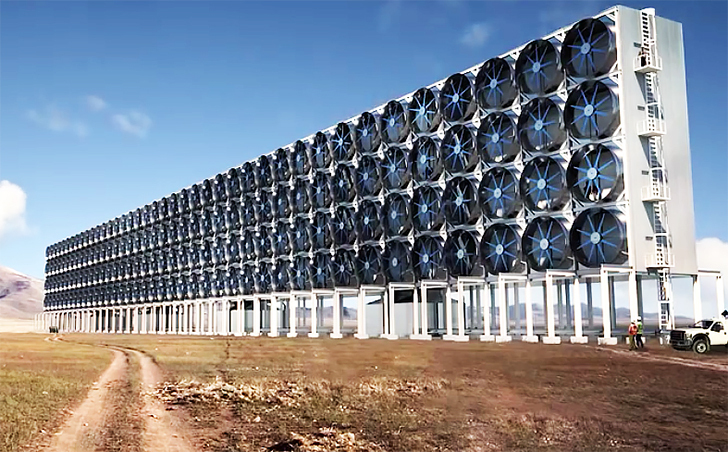 We support storage which will lower costs and pollution and can enable new technologies to thrive. Public Citizen believes that consumers deserve energy that is reliable, resilient, responsive, modern, clean, and affordable. Energy storage technology is the next big step in reducing pollution and costs from power generation. If correctly deployed, it will help us avoid expensive and unnecessary buildouts of transmission infrastructure, thus lowering costs for consumers. Storage will also help us to realize the full potential of our renewable energy sources, particularly wind which blows strongest at night and solar which produces energy during the middle of the day and storing it until we need it most in the late afternoon and evening. We support PUC adopting policies that will reward utilities for investing in energy storage that is cost effective in providing clean, reliable, affordable energy to Texans. This guest post was written by Tom “Smitty” Smith, who served as the Texas state director of Public Citizen for 31 years from 1985 until his retirement in early 2017. For more than four decades, Smitty organized citizens to stand up for their rights in a wide variety of forums. He has worked on energy, environment, ethics and campaign finance reforms. 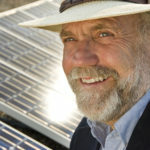 His passion has been reducing global warming by promoting renewable energy, energy efficiency and cleaner transportation. Many of the programs he promoted have become national and international models. 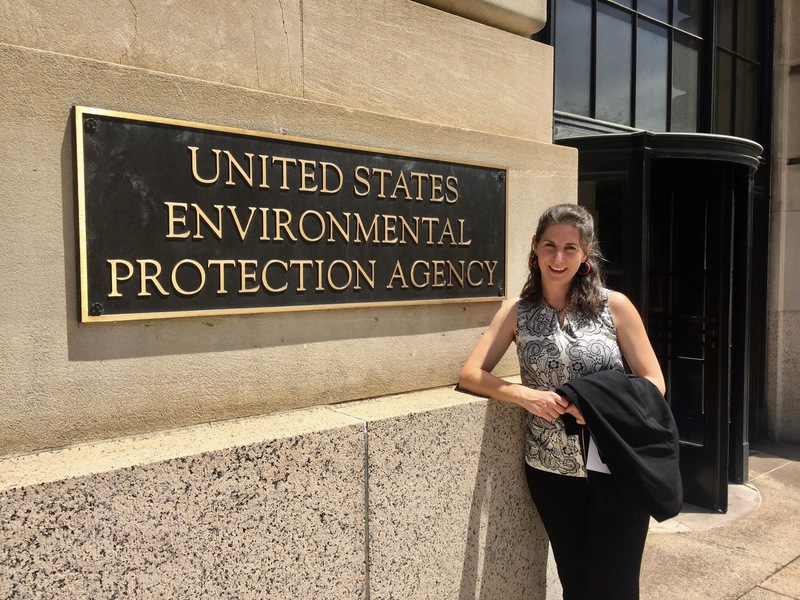 Last week, I, Stephanie Thomas, Houston Organizer for Public Citizen, joined members of community and environmental groups testifying in opposition to Polluting Pruitt’s proposed rollbacks of the 2017 Chemical Disaster Rule. Almost all of the disaster prevention measures in the Chemical Disaster Rule. The repeals mean that industry will no longer be required to invest in third party audits when accidents happen nor will facilities need to conduct a root cause analysis as part of incident investigations following incidents with a catastrophic release or a near miss. The EPA is merely putting out fires, not working to prevent the fires, explosions, and deaths from happening in the first place. Safer technologies? The EPA proposal rescinds requirements for certain facilities to complete safer technology and alternatives analyses to minimize the amount of hazardous substances used. Also, they are rolling back demands to use less hazardous substances, incorporate safer designs, and minimize the impact of releases. This seems like a a no-brainer, but unfortunately, these rollbacks toss safer technology out the window. Even first responders will be losing out. 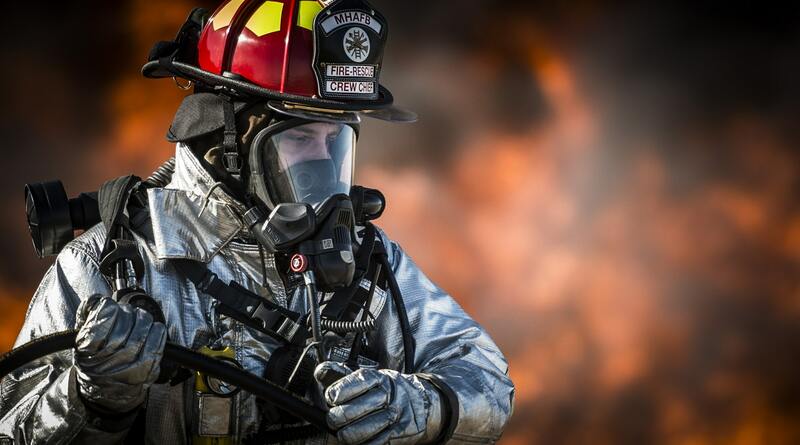 The proposed changes remove a requirement to provide, upon request, information to the public on chemical hazards, including substance names, safety data sheets, accident history, emergency response program information, and LEPC contact information (Under the Emergency Planning and Community Right-to-Know Act (EPCRA), Local Emergency Planning Committees (LEPCs) must develop an emergency response plan, review the plan at least annually, and provide information about chemicals in the community to citizens). Let us remember Hurricane Harvey and its devastating chemical impacts along the Gulf Coast – most notably the explosion at the Arkema facility in Crosby, Texas. 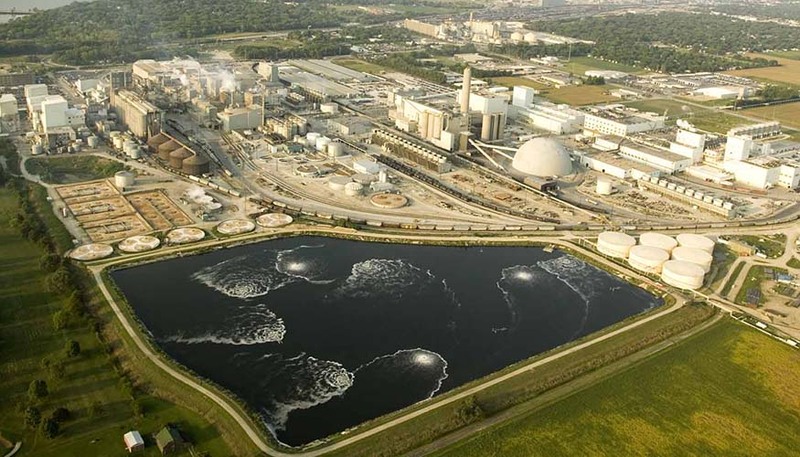 Floodwaters caused the backup generator to fail, leading to explosions of unstable organic peroxides and the release of a slew of toxic chemicals, including an unpermitted release of cancer-causing ethylbenzene. Had the 2017 chemical disaster rule been in place, first responders and community members would have had access to safety data sheets providing information for protecting themselves against the harmful chemicals released into the air and water; and would not have had to file lawsuits such as the one filed in Harris County by first responders alleging Arkema failed to take adequate safety steps to secure dangerous chemicals ahead of Hurricane Harvey. By the EPA’s own account, more than 150 chemical incidents occur each year. And the agency knows that repealing these rules will hurt minority, low-income communities the most. Who benefits? The chemical industry – and all for a measly $88 million per year, a drop in the bucket for these big corporations. The EPA only provided one opportunity to testify on the rollbacks to the Chemical Disaster Rule. While I was glad to be able to testify there, that’s not good enough. Because this proposal knowingly harms communities, impacted communities need a seat at the table. 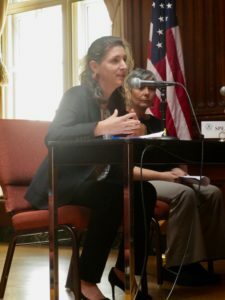 While the EPA leaves out environmental justice communities, industry interests are well-represented within the agency. 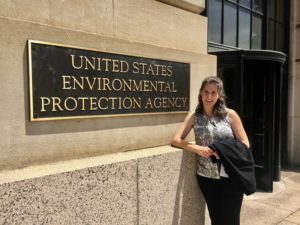 Several administrators and counselors for the EPA have served as lobbyists and litigators for industry. Just yesterday, the US Senate held a confirmation hearing for DowDupont lawyer Peter Wright, who will likely be leading the EPA’s Office of Land and Emergency Management, which oversees the Risk Management Program. It’s no accident that these rollbacks are being proposed at a time when industry’s foxes have taken over the henhouse. The EPA should be supporting the health and wellbeing of Texas communities, not padding the profits of corporate polluters. Donate at the register if you shop at HEB during April. Help fund Public Citizen’s Texas office. Look for this tear pad display at the register when you check out at any Texas HEB store. Take this opportunity to make donations when you check out with your groceries. Donations go to Earthshare, which supports Public Citizen. Making a donation at the register when you check out with your groceries at any HEB store in Texas funds environmental organizations in the state. This funds Public Citizen’s Texas office as well as several of our partner organizations, such as EDF, Texas Campaign for the Environment, Air Alliance Houston, and Sierra Club (among many). If you want to help us and the many other organizations that are working to keep the Texas environment clean and healthy for all Texans, make a donation before Tuesday, May 1st. 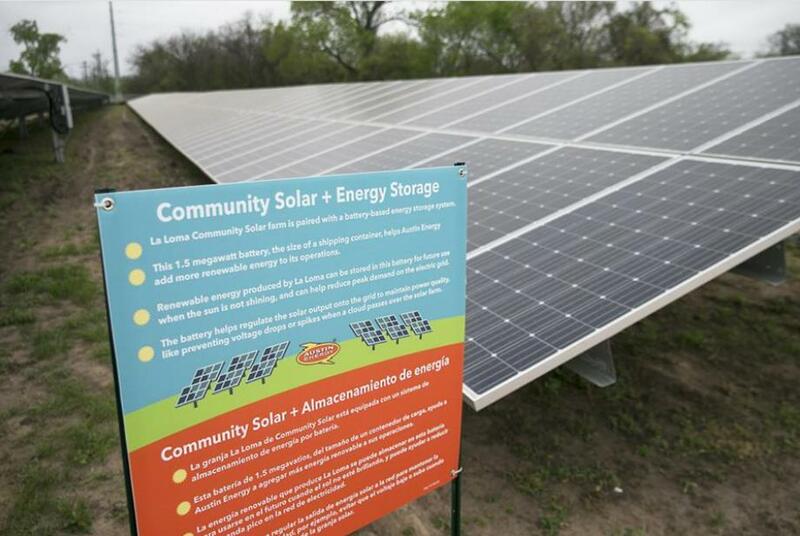 On Saturday, March 24th, Austin celebrated the grand opening of its second community solar project, La Loma Community Solar Farm in East Austin. The project is the largest community solar farm in the Electric Reliability Council of Texas (ERCOT) and the first in Texas to offer low-income customers a discounted rate on community solar. 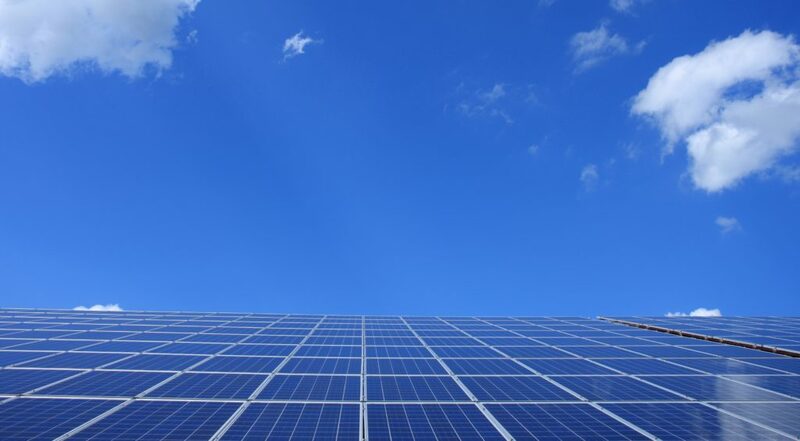 Just northeast of Springdale Road and Airport Boulevard and adjacent to the Austin Energy’s Kingsbery substation, La Loma boasts more than 9,000 panels. 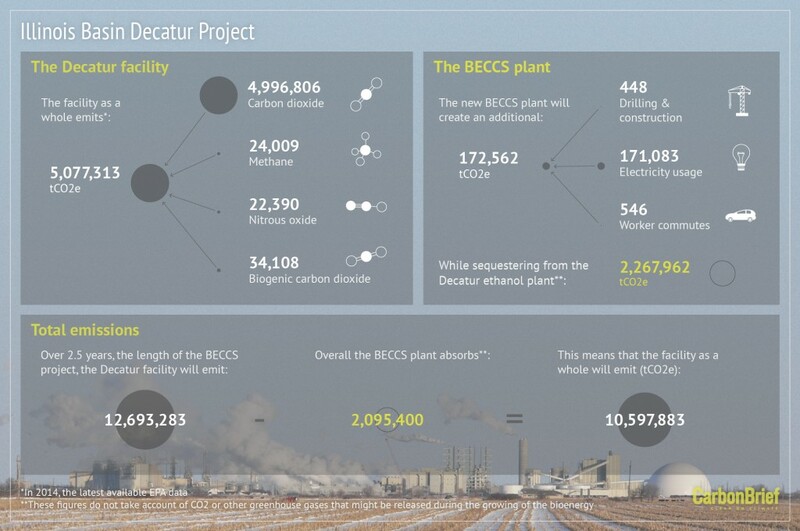 The 2.6 megawatt project will produce at least 4,400 megawatt-hours of electric power per year. Community solar allows multiple customers to share the output of a central facility rather than installing solar on their own roofs. Customers include renters, people with shaded roofs, and residents who can’t afford the upfront costs of rooftop solar. More than half of Austin Energy customers are renters and have limited access to rooftop solar. Following Austin City Council approval in December, Austin Energy dedicated half of La Loma’s capacity to low-income customers in the City of Austin Utilities’ Customer Assistance Program at a discounted rate. At the time of the opening, 130 had signed up for the 220 slots available in the discount program. The market-rate community solar option is fully subscribed with 220 participants and another 38 on the waitlist for future projects. 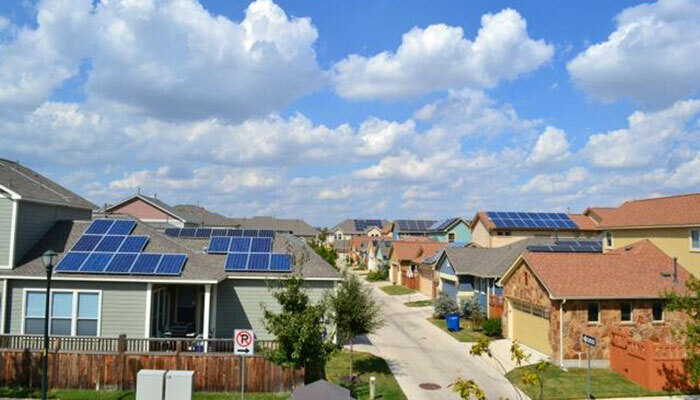 Austin Energy has offered solar incentives to customers since 2004, and today more than 7,200 customers have solar panels on their rooftops. 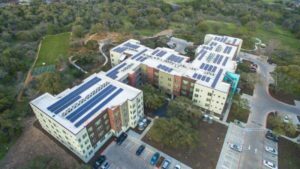 The Utility’s Community Solar Program launched more than a year ago with a 185-kilowatt rooftop solar array at the Palmer Events Center in Central Austin, which serves 23 customers. The program allows residential customers to meet their electric needs with 100 percent locally generated solar energy, and participants lock in the price for 15 years. Austin Energy’s Customer Assistance Program provides utility discounts to some 37,000 energy customers who qualify by participating in at least one of seven specified social service programs. The following is from a story at the Texas Emergy Report (www.texasenergyreport.com) For all the energy news in Texas, consider subscribing. Like the Sierra Club. Public Citizen is pleased about this announcement and has long advocated that these old highly polluting plants be retired completely. See the story below. Big Brown is shutting down. The two-unit coal-fired electricity generation plant in Freestone County between Palestine and Corsicana began phasing out operations on Monday. It’s the third of three Texas coal-power plants being shut down by Luminant, dropping more than 4,600 MW of power capacity in Texas, and the effects are being felt around the nation. 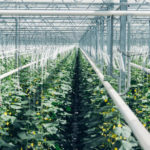 The other two plants, the Monticello about 130 miles east of Dallas and the Sandow Steam Electric Station in Milam County east of Round Rock, are already phasing out and ceased operations last month. Coal-fired plants can no longer compete with cheap natural gas, and as Vistra Energy subsidiary Luminant put it when announcing the shutdowns, “sustained low wholesale power prices, an oversupplied renewable generation market” and other factors joined in making poor investments of the plants. Mine operations are also affected. Public Citizen v. Donald J. Trump: We need your help! 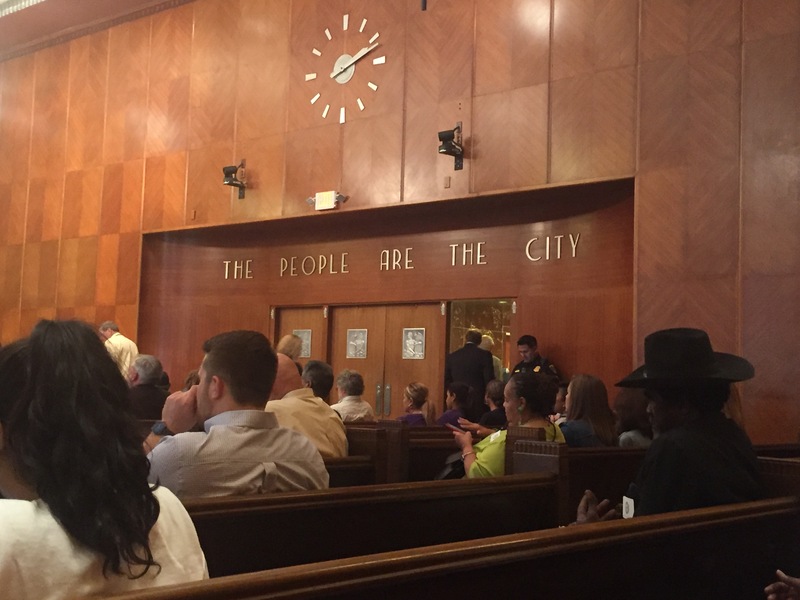 UPDATE: Public Citizen’s legal team argued our case forcefully. But it’s all up to the judge now, who could rule — either for or against us — any day. Either way, there is likely to be an appeal and you can bet we will continue to need your support. On August 10th, we appear before a judge to argue Public Citizen v. Donald J. Trump. In the case, we’re challenging Trump’s deregulatory executive order. The order aims to make it harder for the government to protect our air and water, guarantee the safety of our food, ensure our cars are safe, protect workers from on-duty hazards, address climate change and much more. Before we argue the case before the judge, I wanted to take a moment to explain the stakes. It’s not just what the deregulatory order would do on its own, as horrible as that is. Empower Big Business to pollute, cheat, rip off, endanger, discriminate and price gouge free from governmental restrictions. Trump can’t stop talking about this. On his fifth day in office, Trump told a gathering of CEOs that environmental protections are “out of control,” and promised to roll back regulations. A week later, he met with Big Pharma CEOs. In place of his tough talk about medicine prices, he promised to eliminate 75 to 80 percent of FDA regulations — a far more extreme position even than Big Pharma’s. He’s kept up the talk in his endless meetings with CEOs. Unfortunately, it’s not just talk. On his first day in office, Trump signed an executive order freezing all pending regulations.That act alone delayed the start date on important public protections years in the making. At the end of January, Trump signed the deregulatory order at issue in Public Citizen v. Donald J. Trump.The order prevents agencies from issuing new safety, health or other regulatory protections unless they eliminate two on the books. Without considering the benefits of the rules, the costs of the new rule must be fully offset by the costs of the eliminated rules.If that sounds crazy to you, that’s because it is. The administration worked with the Republican Congress to use an obscure procedure to repeal more than a dozen rules adopted at the end of the Obama administration.The first such measure was an anti-corruption rule.Also sacrificed were rules on internet privacy, toxic pollution of streams and workplace health and safety. On a case-by-case basis, Trump has moved to repeal many of the Obama administration’s most important rules.These include protections against predatory for-profit colleges, a retirement advice rule that will save consumers $17 billion a year, Obama’s main climate change rule and much more. Last month, the White House budget office reported that the Trump administration has withdrawn or suspended 860 pending rules. This is all part of a grand design. To let corporations do as they will. Even if it means more dangerous cars. More bank rip-offs. Preventable injuries at work. Dirtier air and poisoned water. Contaminated food. Preventable, avoidable and unnecessary death, disease and suffering. And the deregulatory executive order is at the heart of the scheme. We are doing everything we can to block Trump’s project to permit corporations to pollute and plunder. Please chip in today to help us fight Trump’s plan. Donate now or even join our monthly giving program. Knowing whether to run or hide is a fundamental survival mechanism that Texans living near chemical plants and refineries know too well. But it can be impossible to make the right decision without accurate and timely information. Is it safe to go outside? Is it safe to “shelter in place” in the nearest building? Is evacuation the only safe option? Urge the Legislature to move forward on the Toxic Chemical Emergency Alert System. Ask the House Environmental Regulation Committee to support HB 1927. The legislation, HB 1927, would establish a system to alert neighboring communities when a facility releases toxic chemicals. People in the affected area would get notices on their phones about the chemicals released, what direction they are moving and how to stay safe. approach, including traditional media, social media, and wireless emergency alerts. Instructions for protection from exposure to the release. 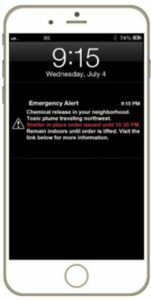 Just like the Amber Alerts for missing persons and emergency weather alerts available on our phones, the Toxic Chemical Emergency Alert System should be available to keep our communities safe. A recent poll of Houston area residents shows that most people are concerned about air pollution and its impact on vulnerable populations. Furthermore, 92% support the creation of a public notification system similar to Amber alerts for leaks of hazardous chemicals. 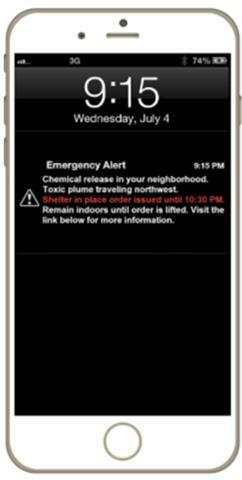 These alerts would warn residents via cellular phone of incidents and let them know what action to take to keep safe. According to an investigative report published by the Houston Chronicle in 2016, an incident involving hazardous materials in the Houston area occurs about every six weeks. Nationally, there have been more than 93 incidents involving hazardous chemicals since late 2015, killing 7 and injuring 573 people. As you can see from the list and map below, the folks in the Houston area are more aware of the issue because of the frequency of such events, but you can see that other parts of the state also experience these types of toxic emergencies. Oct. 2011: Massive chemical fire at Magnablend facility, Waxahachie. Schoolchildren and neighbors evacuated. Nov. 2012: Massive explosion & chemical fire at Nexeo chemical plant, Garland. Local area evacuated. Apr. 2013: Chemical fire at East Texas Ag Supply, Athens. Hundreds of people evacuated. May. 2014: Massive explosion & chemical fire at West Fertilizer, Co., West. Fifteen people dead and 160 injured. Jan. 2015: Chlorine Spill at Magnablend facility, Waxahachie. Employees and neighbors evacuated. Apr. 2015: Train derailment carrying flammable chemicals, Longview. Neighbors evacuated. Aug. 2015: Massive fire at Century Industrial Coatings, Jacksonville. A neighboring business evacuated. Jan. 2016: Explosion and fire at water treatment plant, Midland. One person dead, local residents evacuated. Jan. 2016: Explosion at PeroxyChem, Pasadena. One person dead, three others injured. Mar. 2016: Explosion at Pasadena Refining Systems, Inc., Pasadena. One person burned. Apr. 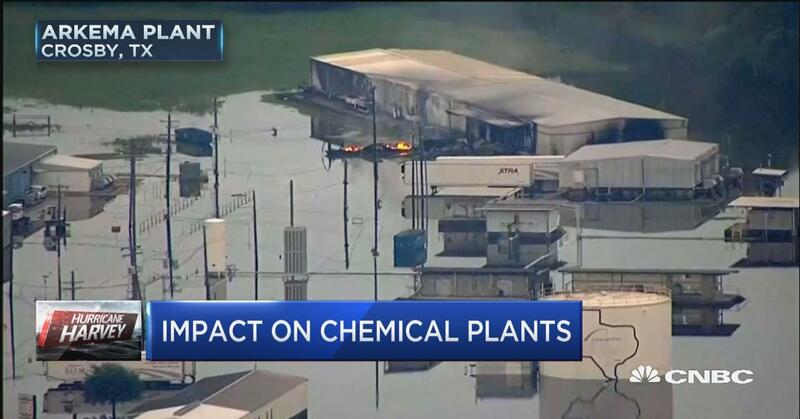 2016: Explosion at LyondellBasell, SE Houston. Shelter in-place in SE Houston, including Chavez H.S., Deady Middle School, and Rucker Elementary School. May 2016: Fire and chemical release in Spring Branch. Shelter-in-place. Fish, turtles, snakes, and frogs die from chemical spill. Jun. 2016: Chemical leak & fire, Mont Belvieu. Dozens of people evacuated from their homes. Jul. 2016: Asphalt fire, Century Asphalt Plant, Burnet. Dozens of residents evacuated. Jul. 2016: Propylene leak, ExxonMobil Pipeline, Baytown. Local evacuation and shelter-in-place for nearby community. Jul. 2016: Chemical Release at Pasadena Refining Systems, Inc., Pasadena. Heavy black smoke and sulfur dioxide release, shelter-in-place for Galena Park residents. Aug. 2016: Explosion at Voluntary Purchasing Group, Bonham, woke up neighbors. A second explosion one month later injured 2 workers. Aug. 2016: Fire at Hexion in Deer Park, shelter-in-place for neighborhoods in Deer Park. Sept 2016: Chemical spill in Willow Marsh Bayou, Beaumont. Local shelter-in-place, killed over 1,400 fish, snakes, turtles, racoons, and birds. Dec. 2016: A chemical leak contaminated the drinking water supply for Corpus Christi. A water ban was in effect for nearly 4 days, 7 unconfirmed illnesses associated with the drinking water. Jan. 2017: Chemical fire and spill, El Paso. Residents complain to TCEQ amidst concerns of respiratory issues. Mar 2017: Sodium hydrosulfide spill, Brownsville. One injured, evacuation downtown. In 2014, Iowa implement the Alert Iowa System. Counties that did not already have a system like this in place could opt-in to the statewide system to ensure that Iowans are protected from severe weather, chemical spill, and other potential disasters. The statewide system in Iowa costs about $300,000 per year. Texas already has a system in place that can send out these type of alerts. The system proposed here is designed to work with OEMs to support them based on their needs. The intention is not for the statewide system to override functional systems already in place. If such a system saved lives or reduced job and school absenteeism as a result of exposure to toxic chemicals, it would be well worth the cost of extending our existing technology to put in place a toxic chemical emergency system. Urge your Legislator to move forward on the Toxic Chemical Emergency Alert System.